The Monster finds a misplaced cell phone. More than likely left by a careless time traveler. He begins text messages. 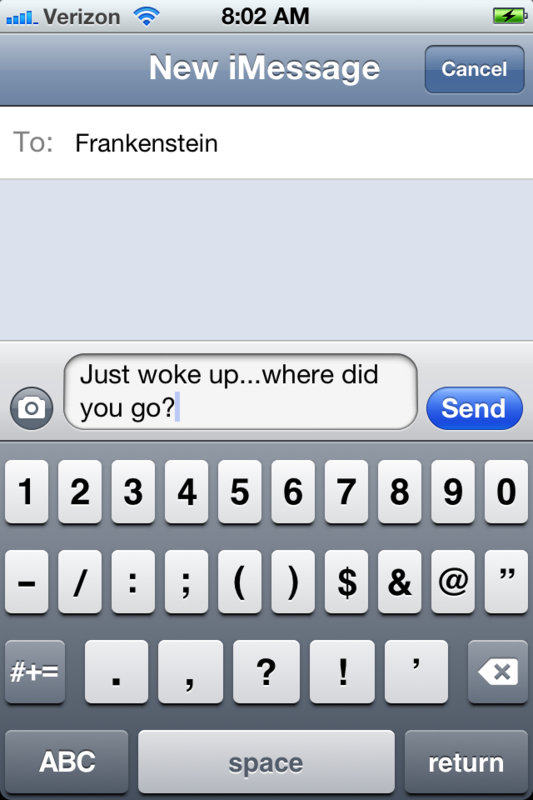 Frankenstein in texts.